The Abbott Government has moved to shakeup the Board that oversees the $20 billion National Disability Insurance Scheme by replacing members with heavyweights from the corporate sector. Reports surfaced this week that Assistant Social Services Minister, Senator Mitch Fifield, was looking to replace members of the National Disability Insurance Agency (NDIA) Board, which oversees the delivery of the NDIS, with people who have worked at ASX50 Companies. The Board is currently made up of stallwarts from the Not for Profit sector including NDIS architect Bruce Bonyhady and former Chair of the National People with Disabilities and Carer Council, Rhonda Galbally. 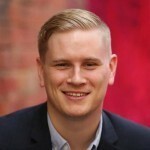 A spokesperson for Senator Fifield, told Pro Bono Australia News that the Senator had written to the State Disability Ministers seeking agreement to commence the process of appointing new NDIA Board members. “As we move to the next stage of implementation of the NDIS – the transition to full scheme – the NDIA will require a Board with a highly specialised skill set to effectively manage a rapid increase in participants, from 30,000 to 460,000 over three years, and administer a $22 billion insurance-based scheme,” Senator Fifield’s spokesperson said. It is understood Senator Fifield commissioned corporate advisory firm Korda Mentha to review the skills and experience required by the NDIS board as it transitions to a full scheme. The current terms for the NDIA Board members will expire on 30 June 2016. It was also reported this week that the Government would attempt to force the States to give up some of their control of the NDIS. Shadow Minister for Disability Reform, Jenny Macklin, said Fifield was undermining the principles on which the NDIS was built. “The Abbott Government is preparing to replace the board of the National Disability Insurance Scheme, sidelining the states and people with disability in favour of big business,” Macklin said. “As the NDIS begins transitioning to full scheme, this latest move will only serve to undermine certainty at a time when continuity is key. “It also threatens to undermine one of the principles on which the scheme was built: a true partnership between the states, territories and the Commonwealth. Macklin said Senator Fifield was attempting to reshape the Board of the NDIS to ensure that members But had ASX 50 or large government business enterprise-level experience. “This is despite the current Board of the NDIS delivering the scheme on time, within budget and with high levels of participant satisfaction,” she said. “To maintain the NDIS as a truly national scheme, the NDIS board must be reflective of the jurisdictions that are involved. 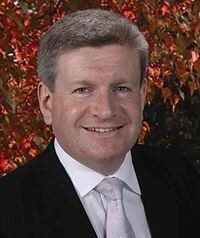 But Senator Fifield’s spokesperson denied that the States would lose control over the NDIS. “The Disability Reform Council, which represents all state and territory governments, must agree to new Board appointments and has a continuing role in providing direction to the Board,” the spokesperson said. Pro Bono Australia News contacted Current Chairman of the NDIA, Bruce Bonyhady, for comment but he declined.